1. Waterlooplein, September 2010. With its ramshackle market stalls and no-nonsense traders, Waterlooplein is probably my favourite Amsterdam Square. While the tourists selfie themselves silly on Rembrandtplein, The Dam and The Flower Market, for me the real magic of the city lies here. I spent many a Saturday afternoon leafing through boxes of black and white movie stills and piles of dusty antiques. On the day I took this shot, a middle-aged Amsterdammer pulled up right in front of me, hopped off her bike and darted into a nearby café, leaving her bemused dog in the back basket. 2. 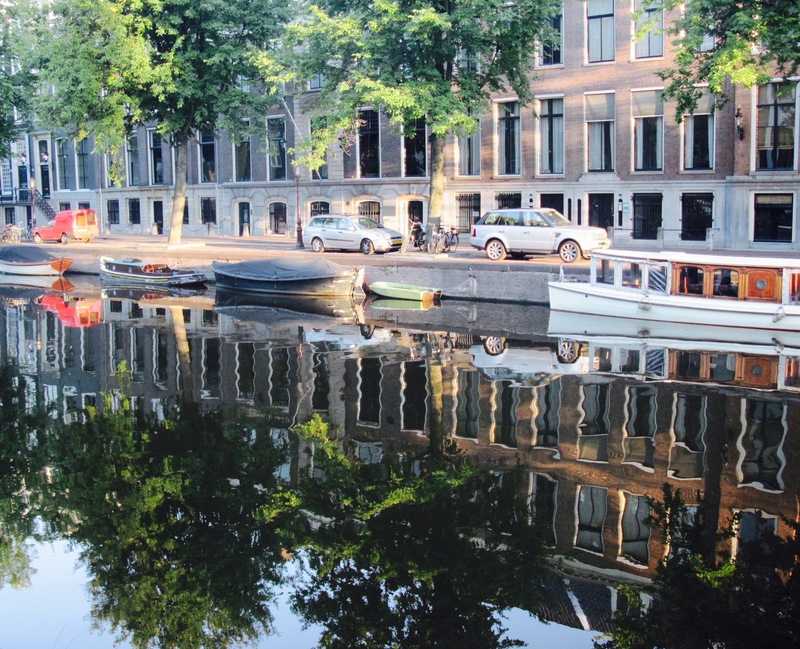 Herengracht, November 2010. My first year in Amsterdam was spent living in a small apartment on Sint Willibrordusstraat, a quiet side street a short walk from the city’s fantastic Albert Cuyp Market. When I then got a job working for a media production company in Amsterdam North, I began cycling to work. It was a journey that took me alongside some stunning canals and over several scary tram tracks before hopping onto the ferry at the back end of Centraal Train Station. This shot was taken at 7:30am en route to the office. I don’t think I’ve ever had a more beautiful daily commute. 3. 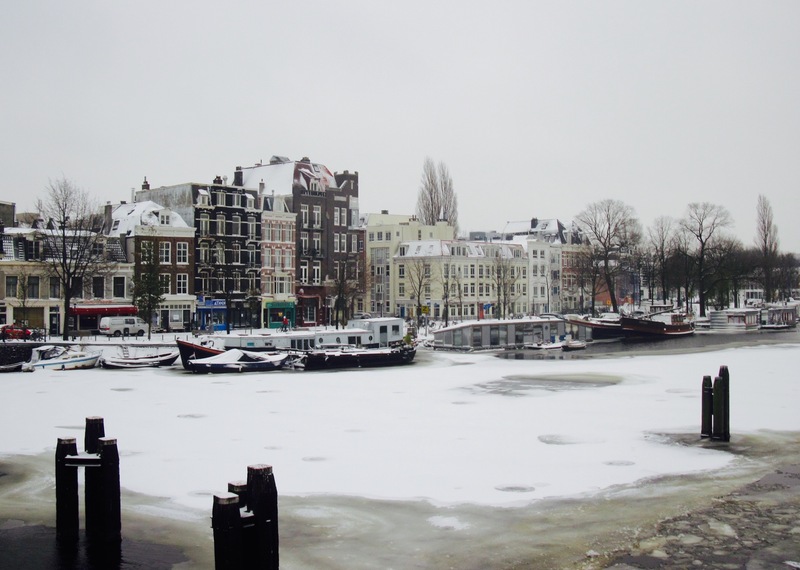 The Amstel River, December 2011. It’s funny how I’d never thought of The Amstel as a particularly stunning river, certainly nothing to rival London, Budapest or Paris. Like most things I’ve always considered it to be at its best in the summer, until I stumbled upon this gorgeous sight. It was an impossibly cold winter’s evening and the streets were deserted, the white-gray landscape so enveloping I actually found myself a little short of breath. It was soon after this that I began dreaming up the characters and storyline of Red Light, a screenplay set in the city. 4. The Grand Hotel, March 2012. I was lucky enough to do a number of press junkets in Amsterdam over my four and a half years. This one was for The Dutch premiere of American Pie: Reunion. 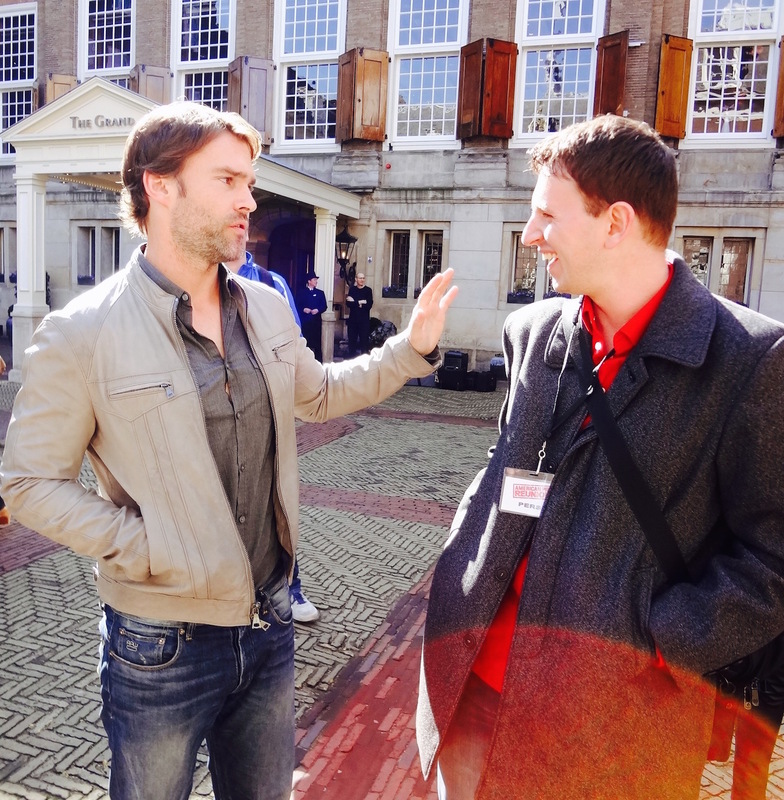 In this photo I’m chatting to Seann William Scott, AKA Stifler. Funnily enough we weren’t talking about American Pie, but rather Road Trip, another goofy Scott comedy I’ve always had a soft spot for. 5. Haarlemmerdijk, July 2013. Haarlemmerdijk is a gloriously preserved slab of traditional Amsterdam. It has an old time movie theatre, an amazing bakery dating back to the 1800s and a folksy fishmonger that serves up mouthwatering Dutch Herring for those who can stomach it. But better than all that, perhaps even better than everything in the world put together, is the gooey amazingness of a pack of Stroopwafels! 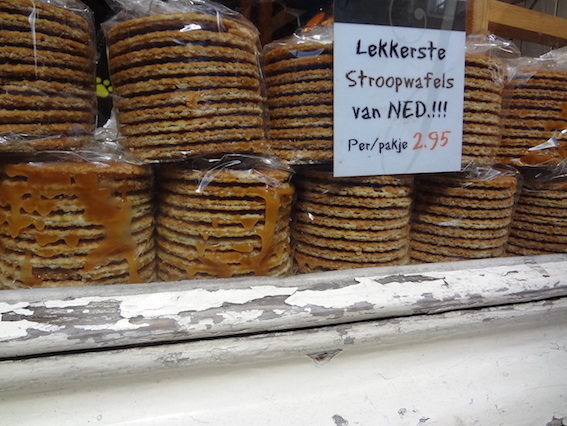 For the uneducated, a stroopwafel is a waffle-biscuit creation packed with treacle and caramel. I dread to think how many of these I consumed during my years in the Dutch capital. For more on life here have a look through my other 5s on Amsterdam. Like these? Then why not leaf through more pieces from around The Netherlands. 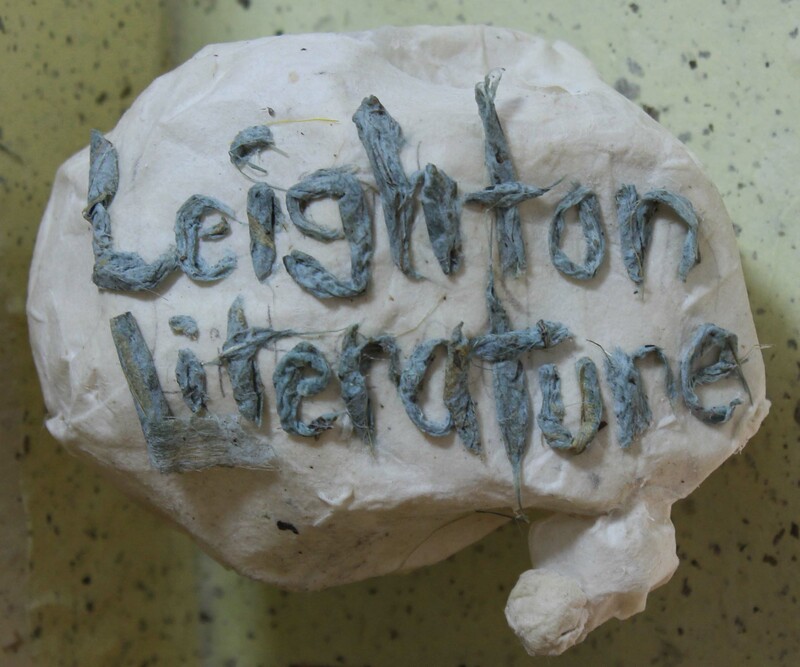 Great idea Leighton. Awesome choices and lovely to hear an explanation of what each pic meant to you. An engaging set of pictures and commentary. Have subscribed looking forward to the next ones.